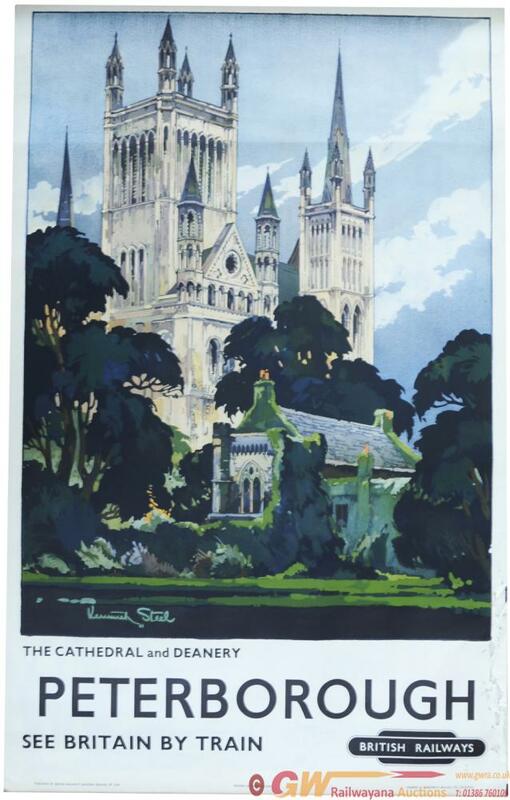 BR Poster, 'Peterborough - The Cathedral & Deanery' by Kenneth Steele, D/R size (25 x 40). A lovely view across the lawns and through the trees. Published by British Railways Eastern Region 1159, printed by Fleming & Humphreys (Baylis) Ltd. Image is in excellent condition but the right hand side has suffered some insect damage.